Whites attacked and killed an estimated 10–100 blacks. No whites died in the violence. As a result of the attacks, more than 2100 blacks permanently left the city, leaving a hole among its professional and middle class. The demographic change was so large that the city became majority white, rather than the majority black it was before the white Democrats' coup. Average annual precipitation: 57.6 inches (1,460 mm), but historically ranging from 27.68 in (703 mm) in 1909 to 102.40 in (2,601 mm) in 2018, aided by 23.02 inches of rain, September 13–16, from Hurricane Florence's slow movement across the Carolinas. The 2018 annual precipitation of 102.40 inches exceeded the previous record wettest year (1877, with 83.65 inches of precipitation). 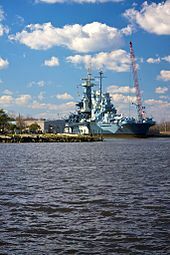 In 2014, governor Pat McCrory decided not to renew the film incentives which ended up taking a massive toll on not just Wilmington's but North Carolina's entire film industry. As a result, most productions and film businesses moved to Atlanta, GA. As of 2017, there have been attempts to bring the industry back to North Carolina via the North Carolina Film and Entertainment Grant. This grant designates $31 million per fiscal year (Jul 1 – Jun 30) in film incentives. Birthplace of Johnson Jones Hooper (1815–1862), Author of the Simon Suggs Series. Off and on, from 1900 to 2001, Wilmington has been home to a professional minor league baseball team. The Wilmington Pirates, a Cincinnati Reds farm team, were one of the top clubs in the Tobacco State League from 1946–50. Most recently the Wilmington Waves, a Class A affiliate of the Los Angeles Dodgers, played in the South Atlantic League. Former All Star catcher Jason Varitek played for Wilmington's Port City Roosters in 1995 and 1996. In 1914 the Philadelphia Phillies held spring training in Wilmington. Sammy Davis Sr., dancer and father of entertainer Sammy Davis Jr.
Briana Venskus, actress with recurring roles on several shows based on comics – Outcast, Supergirl, The Walking Dead and Agents of S.H.I.E.L.D. Ilario Pantano, United States Marine Corps second lieutenant. Also an author, television commentator, and deputy sheriff in Wilmington. John Steele, landed with the 82nd ABN in Normandy during World War II. Made famous in The Longest Day. ^ Donald R. Lennon and Ida B. Kellam, eds. The Wilmington Town Book, 1743–1778. Raleigh, NC: Division of Archives and History, 1973. ^ Marvin Michael Kay and Lorin Lee Cary. 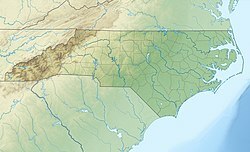 Slavery in North Carolina, 1748–1775, Chapel Hill: Univ of North Carolina Press, 1995. ^ a b c William L. Saunders, ed. The Colonial Records of North Carolina, 10 vols. Raleigh, NC: P.M. Hale, 1886–1980. 7: pp. 124–25, 131, 143. ^ Paul David Nelson. William Tryon and the Course of Empire. Chapel Hill, NC: Univ of North Carolina Press, 1990. pp. 42–43. ^ a b c d e f "NowData - NOAA Online Weather Data". National Oceanic and Atmospheric Administration. Retrieved October 1, 2018. ^ "Station Name: NC WILMINGTON INTL AP". National Oceanic and Atmospheric Administration. Retrieved October 1, 2018. ^ Dolce, Chris (September 17, 2018). "Florence Vaults Wilmington, North Carolina, to Its Record Wettest Year Since 1877". Weather Underground. Retrieved September 20, 2018. ^ "Gangs Archives – WWAY TV3". WWAY TV3. ^ McGrath, Gareth. "Flying high, Wilmington airport sets passenger record". Wilmington Star News. Retrieved March 4, 2019. ^ "ILM reports annual passenger record". WilmingtonBiz. Retrieved March 4, 2019. ^ "Wilmington Airport Documents • Fly ILM". Fly ILM. Retrieved March 4, 2019. ^ "Thalian Association – The Official Community Theater of North Carolina". Thalian.org. Retrieved May 21, 2013. 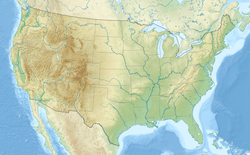 ^ "North Carolina State Community Theater – Thalian Association". Statesymbolsusa.org. Retrieved May 21, 2013. ^ "SIX Full Episodes, Video & More". HISTORY. Retrieved April 4, 2017. ^ Barth, Jack (1991). Roadside Hollywood: The Movie Lover's State-By-State Guide to Film Locations, Celebrity Hangouts, Celluloid Tourist Attractions, and More. Contemporary Books. Pages 173–175. ISBN 9780809243266. ^ "History of the WJFF". Wilmington Jewish Film Festival. Retrieved March 19, 2019. ^ Staff, Hunter Ingram StarNews. "EyeCon's 'One Tree Hill' reunion conventions to end". Wilmington Star News. Retrieved March 19, 2019. 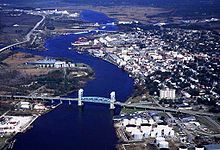 ^ "Cape Fear Blues Society – Wilmington, NC". Capefearblues.org. Retrieved May 21, 2013. This page was last edited on 23 April 2019, at 16:21 (UTC).